The story of The Five Lights followed directly out of the conclusion to Second Coming as Cerebra detected the presence of five new mutants in the world for the first time since House of M’s M-day, with Hope of course being a notable exception during Messiah Complex. The promise of this story was incredible as we know the manifestation of these mutants’ powers was linked directly to Hope and potentially the Phoenix. 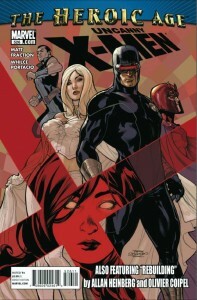 What saw print was the introduction of four new characters that were saved in one way or another by Hope and the X-Men only “to be continued” in Generation Hope #1. So The Five Lights only gave us four lights (the “lights” representing the new signals on the X-Men’s mutant detector) with the fifth actually being introduced in a new title. While Generation Hope had a good first issue, it’s too early to say too much about it here. 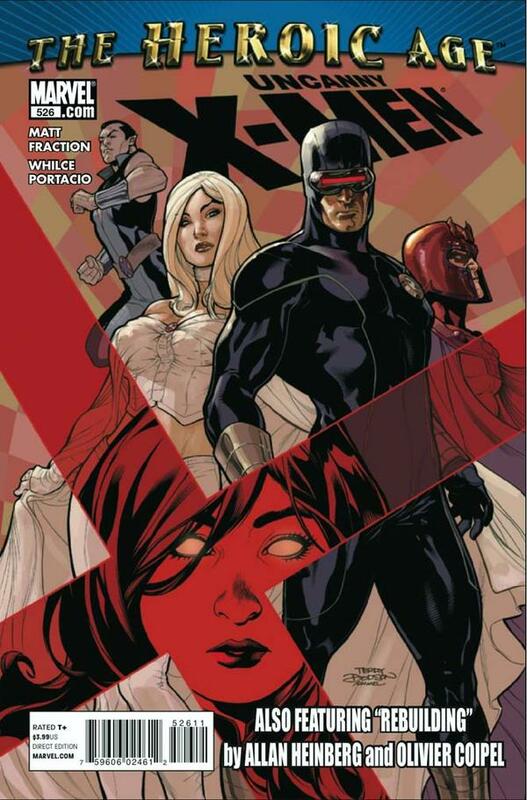 Although it does look like the last mutant they’re trying to save will be the “Magneto” for the new team of five mutants.Matt Fraction’s The Five Lights had incredible potential, but bad art and the launch of Generation Hope hurt it. Whilce Portactio’s artwork was subpar through most of the arc, with a few good pages toward the conclusion. It pains me to say this as I was once a fan of his work, but these books just don’t look good and it hurt the story. I have normally have mixed feelings about the work of Greg Land, but I was honestly thrilled to see his return for the Quarantine arc beginning in issue #530. I can’t say enough good things about Mike Carey‘s work writing this title. The fact that he was handling a team of characters in this story made it even better. Granted these weren’t major X-Men characters beyond Rogue and Magneto, but Carey is truly skilled at making you care about even the most minor of characters and makes sure everyone has a meaningful moment to shine. 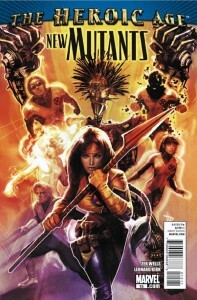 The story involved a trip to India and the return of The Children of the Vault who first attacked the X-Men back in Carey and Chris Bachalo’s Supernovas arc beginning in issues #188, Carey’s first issue. Both Supernovas and Collision are great reads that I highly recommend. Clay Mann’s artwork continued to be top notch throughout the arc and his art for the Age of X teaser image only helped my enjoyment of this story. I enjoyed the Lenil Yu covers for the series, but it’s not my favorite work from him. The scratchiness of the inking just isn’t what I like. This was hands down the best book coming out of Second Coming. It delivered a fantastic payoff on seeds planted from the beginning of the series, and this arc harkens back to 1988’s Fall of the Mutants crossover with its title and the Inferno crossover with its content. This was an epic story that published back when I was just a youngster and seeing it referenced immediately brought a smile to my face. These characters and this story are incredibly well handled by writer Zeb Wells. It’s sad to know Wells is leaving the book after this wraps up, but at least he has 2 more issues before he goes. 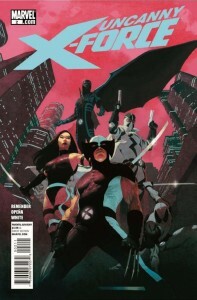 Mike Carey is taking over the book after that as the Age of X begins, and that can only be seen as a good thing. It’s interesting to note that Legion appears on at least of one of the covers leading into Age of X, as he was the catalyst for creating the Age of Apocalypse. Leonard Kirk’s artwork was superb. I’m familiar with his name, but I don’t know that I’ve read anything he’s done before. I’m hoping that he’s continuing after Wells’ departure or he at least moves to another title that I’m reading. Dave Wilkins painted covers are beautiful and really add something to the books. I’m a little confused about the text reading “Fall of the New Mutants Conclusion” on issue #19 since it was in no way the end of the story. We’re only two issues in, but I’m really enjoying this book. It’s hard to believe I was seriously considering not picking it up. Writer Rick Remender and artist Jerome Opeña were not names that made it an automatic buy for me, and I’m not the biggest Wolverine fan so I wasn’t sure how into this book I would be. I’m happy to say I’ve been completely won over and definitely had days where I couldn’t wait for issue #2 to ship. It would have been nice to see the series launch right after Second Coming, but that’s really just so I’d know what’s going to happen next and have more to write about here. The return of Apocalypse, after his last appearance in the rather weak Blood of Apocalypse story, is being handled brilliantly. If all of the X-Men titles could meet the level of quality and excitement of the books that shipped this week, I’d be very happy. These series are in good hands for the most part with the promise of good things on the horizon. For the sake of completeness, it’s probably worth a check in on the other X-titles that are currently part of the line. The publishing schedule has hurt this title tremendously since issue #1 six years ago, and it’s only gotten worse. The series ended with issue #35 earlier this year, and that came months after three issues of the follow up story Xenogenesis had started shipping as a mini-series. 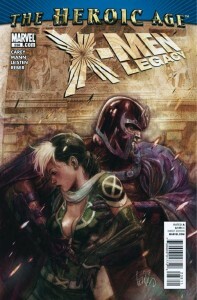 It now appears that the series picks back up in February with issue #36 by Daniel Way and Jason Pearson. I’ll never believe that the Xenogenesis story was not originally planned as issues #36-40 and the massive delays led to it being a separate series. This is all fine for trades and reprint collections, but as a monthly it’s a mess. It’s a shame too, the stories by Warren Ellis have been great as has the art of both Phil Jimenez and Kaare Andrews. I’m really unsure about the next creative team, but I’ll give it a shot. This is a tough one to talk about. The title seems completely superfluous and I’ve made my thoughts clear that the launch of this title seemed out of the blue. While there has been a lot of additional criticism about the book being X-Men vs. Twilight, it was the month with essentially four tie-in books between issue #2 and #3 that killed it for me. I never got through them, so I’m way behind and my falling behind on an X-title is a bad sign as I’m normally very interested to know what happens. It seems like the whole point of this book was to get to vampire Wolverine and that’s hardly enough to keep me invested. While X-Factor didn’t formally participate in Second Coming, the book has been rock solid. I have to say that these characters were missed in Second Coming given Madrox and Layla’s involvement in Messiah Complex. Their trip to the future a few months ago could have easily been a big part of the crossover and I came away feeling like something was just missing. Still, Peter David is doing good work here. Although, sometimes it just seems like forever between issues. There’s really just too much Wolverine between him being a member of the Avengers, the X-Men and having multiple solo books. The new Wolverine title by Jason Aaron featuring the Wolverine Goes to Hell story, along with new titles for X-23 and Daken is just more than I care to keep up with. Charlie Huston’s The Best There Is series that starts next week has me somewhat interested since I enjoyed his run on Moon Knight with David Finch, but it’s basically another book on shelves that already seem clogged with the character. I hate to lump X-23 and Daken in with this rant because they are somewhat interesting characters (particularly X-23) but they’re just too tied to all of this to separate them. I debated saying anything about the Deadpool books since they’re not really X-titles, but at the same time they kind of are. I don’t read any of the four that are currently being published, but it’s pretty clear that there are just too many as at least one is supposed to be cancelled. Sometimes I think one Deadpool ongoing might even be too many since it just plants the seed for three more to spring up out of nowhere. It’s also worth noting that much like the revived Astonishing X-Men returning in February 2011, it also appears that Deadpool and Cable will be returning with issue #26 that month. I have no idea if this is a single issue or if it’s planned as an ongoing, but that’s a book I will certainly pick up as I’m definitely missing Cable.